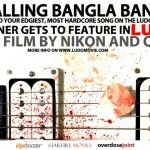 MUMBAI, June 21- Bengali cinema’s controversial duo, Nikon and Q are ready with their latest film – LUDO. A film entering the unchartered territory of fantasy thrillers, LUDO is bound to both – shock and leave audiences awestruck – with its brand new storytelling. The makers of the movie have gone ahead and applied for registering the film’s title ‘Ludo’ as a trademark, as an entertainment idea after sensing its strong potential of building a franchise around the movie/concept. 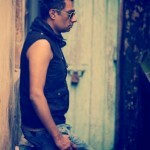 The film features the sensuous Rii Sen, Joyraj, Subholina, Ronodeep, Ananya and Soumendra. Q and Nikon are already looking forward to a sequel, especially after the strong buzz the film has created at Cannes Festival this year. LUDO is being made under the banner of OverdoseJoint, Q’s production house, a progressive art platform making original films, music and design and is co-produced by Idyabooster and Starfire Movies.